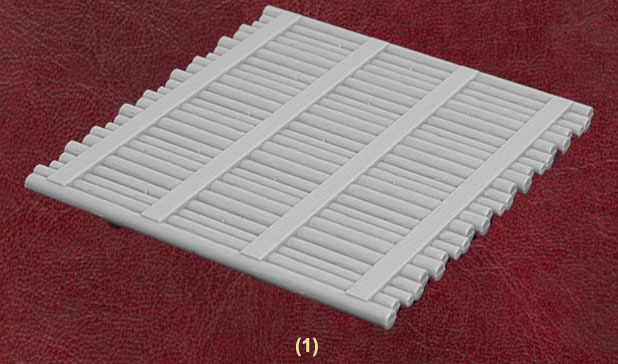 There are quite a number of diorama accessory sets on the market, both in soft and hard plastic, and this is the second one from Hasegawa alone. Following on immediately from their Checkpoint set, this collection of items includes several also found in that set. Looking at the items in detail, the major piece is the bridge. This is a row of logs held together by wooden planks and resting on very short timber supports. It is 74mm long and 65mm wide, but as a nice touch it is weakened down the middle so if desired it can be snapped in two to create a bridge twice the length. Next in our pictures we have the pieces of wall. These are one brick width thick and pretty useless. What can you do with a brick wall of this shape? You can't join two pieces together to form a square as the brick orientation does not match. All you can do is place two next to each other to form a larger triangle, although why you would want to do that escapes us. Beside the wall is a tent. This is 24mm tall at it's apex and 47mm long, which is fine. 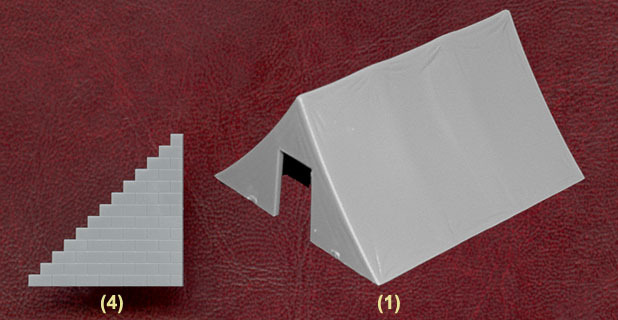 However on one end it has a square doorway 13mm tall, which looks silly in the side of a tent. The smaller items largely speak for themselves. 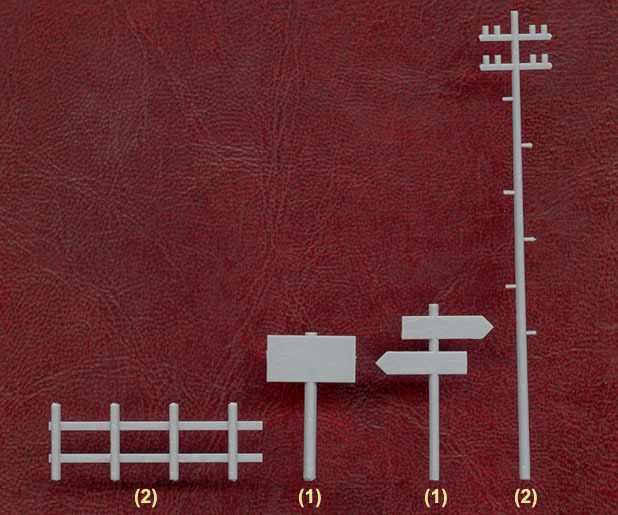 The two road signs are 25mm and 30mm tall, and all the items are well done and appropriately sized. Some of the items are clearly aimed at World War II but some would have broader appeal. These hard plastic items have little flash and are well done. It must be said that this is an unimaginative selection of items, although they are certainly of use. Most have also been made elsewhere, but as a product this is perfectly OK.